Dr. Satya Pal Singh, Minister of State, Ministry of Human Resource Development; and Ministry of Water Resources, River Development & Ganga Rejuvenation, Government of India led the Indian delegation to the 20th Conference of the Commonwealth Education Ministers (20CCEM) held in Nadi, Fiji during 19-23 February 2018. Amritsar, the city of Golden Temple will get Rs 100 crores for the execution of various development works. 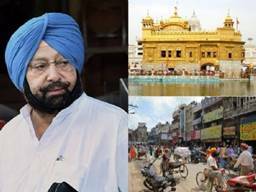 Punjab Chief Minister Captain Amarinder Singh announced a grant of Rs.100 crore for the execution of various development works in Amritsar while making it clear that paucity of funds would not be allowed to scuttle the execution of these projects. 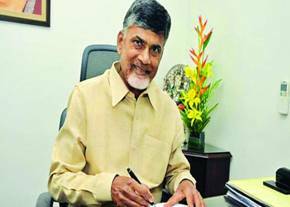 Andhra Pradesh inked MoU with US-based AutoGrid to help transform electricity sector of the state. With this Andhra Pradesh will adopt smart grid and Internet of Things (IoT) based solutions of AutoGrid to improve energy utilities’ financial health and customer experiences. The state government signed a Memorandum of Understanding (MoU) with AutoGrid, a US-based leading provider of flexible management software for the energy sector, at the CII Partnership Summit. 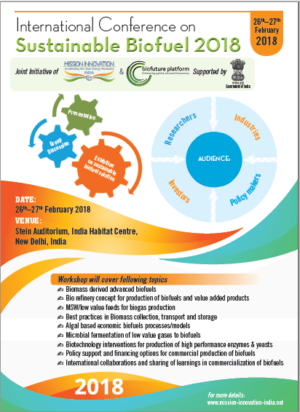 The initiative involves demand-side management (DSM) programmes covering key segments, including agricultural pump-sets, residential/commercial ACs and industrial units. 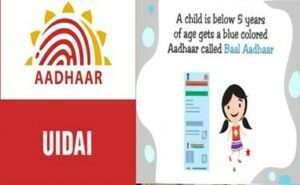 UIDAI or the Unique Identification Authority of India, introduced a ‘Baal Aadhaar’ card. This blue-coloured card will be given to children below the age of five years. To get a Baal Aadhaar, no biometric details will be needed. UIDAI had made this announcement through a series of tweets on its official handle. 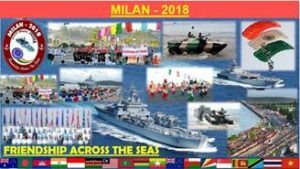 The second week of March will witness Andaman & Nicobar Command hosting a multinational mega event MILAN 2018. 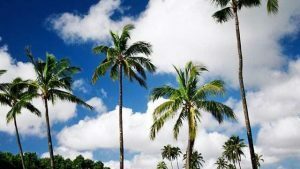 MILAN is a congregation of littoral navies conducted biennially by Indian Navy at the Andaman and Nicobar Islands, under the aegis of the Andaman and Nicobar Command. The Sustainable Biofuel is one of the Seven Mission Innovation Challenges and India Co-leads this along with other countries Brazil, Canada and China. Sustainable Biofuel development is a key challenge as well as an opportunity for Governments, researchers, investors and industry to work together. Mission Innovation (MI) is a global initiative of 22 countries and the European Union to dramatically accelerate global clean energy innovation. A two-day International Conference on Sustainable Biofuels is jointly being organized by Department of Biotechnology, Govt. of India on behalf of Mission Innovation and Biofuture Platform at the Stein Auditorium, India Habitat Centre, New Delhi. Union Minister for Science and technology, Earth Sciences and Environment Forest & Climate Change, Dr. Harsh Vardhan, will be Chief Guest and will inaugurate and address the International Conference followed by Exhibition on February 26th, 2018. 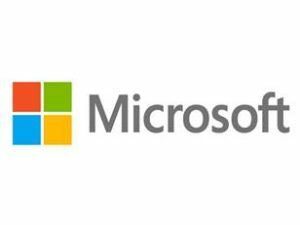 The government of Tamil Nadu announced signing an agreement with IT Major Microsoft to improve the integration of technology in teaching and learning in the state. The partnership was announced by minister for school education, Government of Tamil Nadu, K. A. Sengottaiyan at an event attended by academia and regulators. The partnership aims to reform education sector, build tech capacity and enhance digital literacy across all levels. 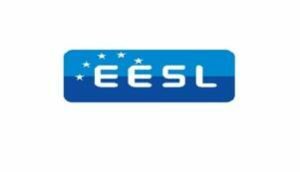 The government-run Energy Efficiency Services Ltd (EESL) signed MoUs with Andhra Pradesh government to invest Rs 3,730 crore in the state. The MoUs, spanning e-mobility, energy efficiency and renewable energy, with the aim of creating 15,000 jobs, were signed at CII Partnership Summit. The MoUs entail supply of 10,000 electric cars and 4,000 chargers to various departments of Andhra Pradesh through NREDCAP; supply of approximately 17 lakh smart energy meters to both power distribution companies in the state. Maple Assist Inc. has launched the Maple Assist App, a groundbreaking mobile application designed to be a one-stop shop for all you need to know about studying in Canada. 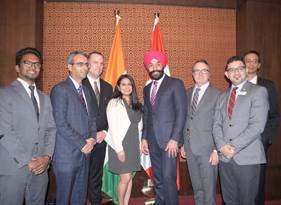 Developed in India, the Maple Assist App is supported by four leading colleges from Ontario, Durham College, Fanshawe College, Georgian College and St. Clair College. It is expected to reach out to over 100,000 international students desirous of studying in Canada, hailing from countries like India, China, Philippines, Japan, Brazil and Mexico. The Maple Assist App was launched by Navdeep Bains, Canada’s Minister for Innovation, Science and Economic Development. The new venture is also supported by Scotia Bank, Air Canada, HDFC Credila, and the Indo-Canadian Business Chamber (ICBC). 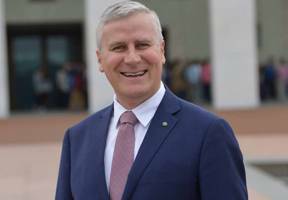 In Australia, Michael McCormack has been elected new Deputy Prime Minister after being selected as the leader of the country’s National Party, the junior partner in the country’s coalition government. McCormack replaces former Deputy Prime Minister Barnaby Joyce who was forced to resign last week amid public anger over an extramarital affair with his former press secretary. 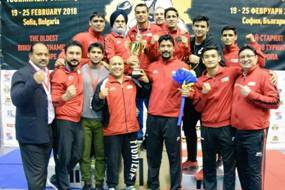 Indian pugilists Vikas Krishan and Amit Panghal bagged Gold medals, while MC Mary Kom, Seema Poonia and Gaurav Solanki settled for Silver on the final day of the 69th Strandja Memorial Boxing tournament at Sofia in Bulgaria. While Vikas in the 75 kg category eased past American Troy Isley, Amit in 49 kg division defeated Morocco’s Said Mordaji to claim the coveted yellow metal. Gaurav in 52 kgs took home the silver after losing in the Final. In the Women’s 48 kg section, Mary Kom, who came into the event in pursuit of a third consecutive gold medal, lost to Bulgaria’s Sevda Asenova in a rather shocking verdict to finish second. Seema Poonia in the +81 kg category also settled for a Silver after she went down to Russia’s Anna Ivanova. 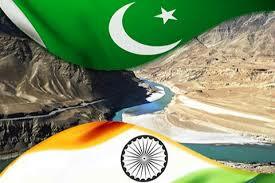 India ended the tournament with 11 medals — 2 Gold, 3 Silver and 6 Bronze. Skipper Virat Kohli was presented with the prestigious ICC Test Championship mace as India retained the top spot in the ICC Test team rankings. 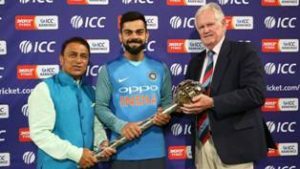 On behalf of the ICC, the mace was presented by ICC Cricket Hall of Famers Sunil Gavaskar and Graeme Pollock at a ceremony at the Newlands Stadium. 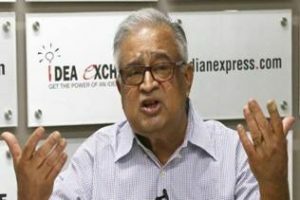 Former Cabinet secretary TSR Subramanian has passed away. He was 79. 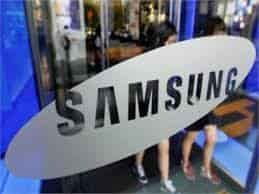 Mr Subramanian was the Cabinet Secretary from August 1996, to March 1998. 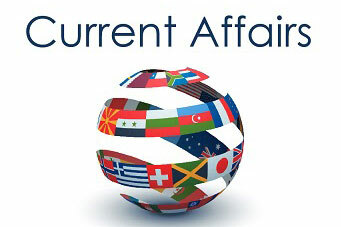 Please update Current Affairs Quiz page for all days. Its not updated after 23rd Feb.